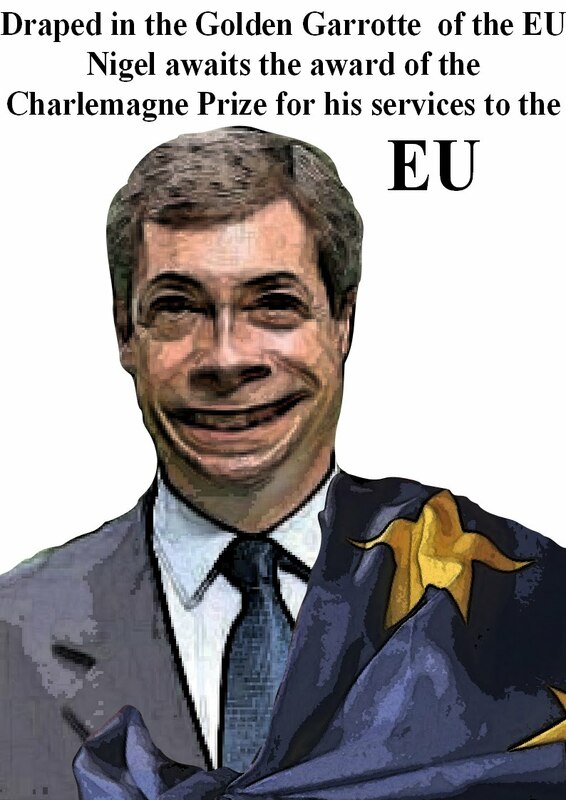 Junius on UKIP: UKIP: More hypocrisy as Farage pleads to eurocrats for immunity! UKIP: More hypocrisy as Farage pleads to eurocrats for immunity! This must rank as the most supreme act of hypocrisy in political history. Nigel Farage's UKIP has always been opposed to the concept of EU parliamentary immunity. This has been partly due to the refusal to recognise the legitimacy of the European Parliament, and partly because, in the words of the great leader, "A politician should stand up and account for what he says and does". UKIP MEPs have never voted to defend the immunity of any MEP who is in trouble, even if it is one of their own. But now things appear to have changed. Yesterday, the European Parliament's legal affairs committee met in camera, to hear a "request for defence of the parliamentary immunity of Nigel Farage." Farage is trying to overturn the decision of President Jerzy Buzek to fine him for his comments to Herman von Rompuy. He turned up in person to plead his case, much to the amusement of committee members and staff. Actually, it does not take Rumpole of the Bailey to realise that Buzek did in fact act outside his remit in imposing the fine. Farage, however, is not fighting him face to face, he is hiding behind his nanny's skirt, and pleading for the protection of a parliament he claims he does not recognise. How pathetic this sad and ineffectual little parasite has become. 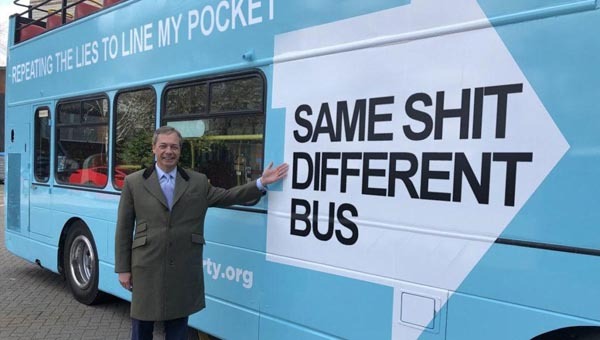 He is opposed to immunity for anybody else, but when it comes to his own skin, he runs for help, pleading to the eurocrats he claims to despise, and begs for his own skin. Lack of moral fibre, it is called. but we ALL know that when he is on form he is an excellent performer but no one with a wit of intelligence would class him as ethical or competent of leadership he is without the gravitas to be taken seriously however he is a push button asset producing sound bites. Clearly it is unfair to expect someone with ZERO OQ or leadership ability to be expected to understand hypocracy. That he has surrounded himself with parasites to act as praise singers also explains why like King Ethel he is un reedy and even a Steve Reed is no substitute for the skills of a Reede of old! It is not for wisdom like King Ethel that Farage is without Reede but from his own arrogance and hubris.